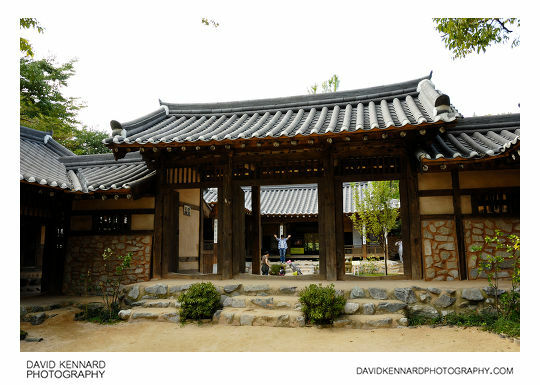 In one of the buildings they have some Joseon period costumes you can dress up in. I'm not sure if they were actual costumes used in the The King and I TV Series though. Inside the stone products park I took a panorama. 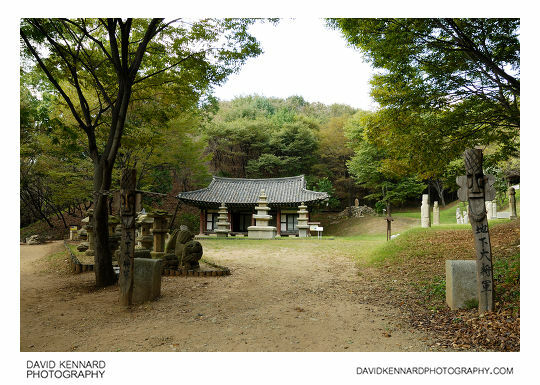 Nearby there are some stone pagodas, on the hill are various stone Muninseok (문인석) civil official statues, and to the left is a collection of stone lanterns and various other stone sculptures. 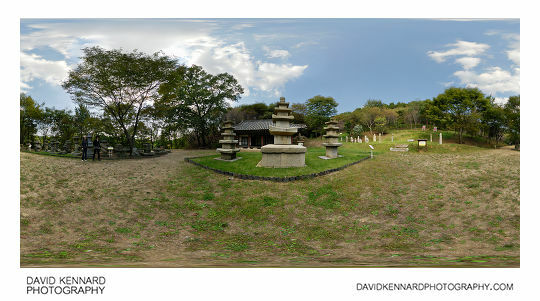 As well as stone sculptures, there are also some more plain stone blocks and mill stones in this area. 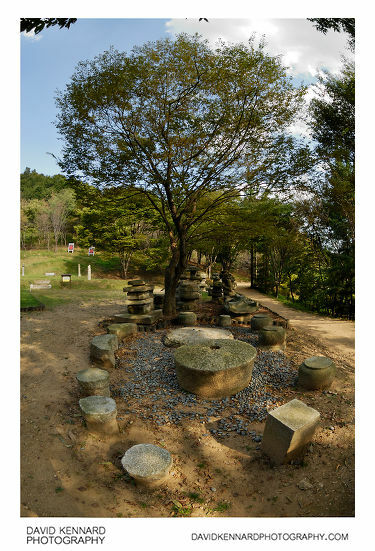 Unsurprisingly, the Korean millstones look very much like English millstones. 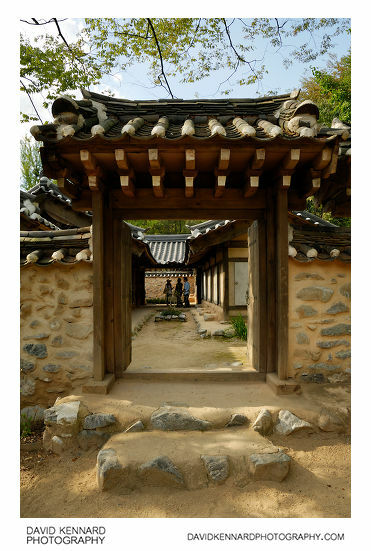 We came back down the hill via what the Korean Folk Village guide leaftlet describes as 'The Loess Road Experience', not sure I would describe it as an 'experience' really. 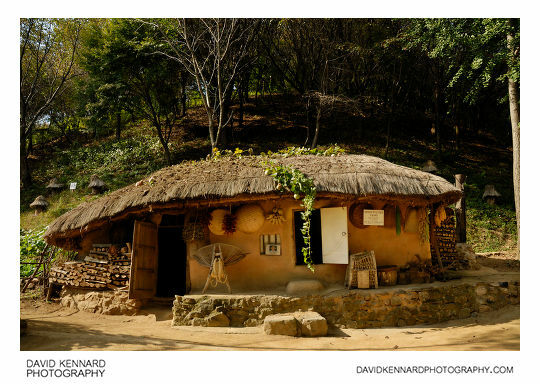 At the bottom was another traditional thatched Korean house. This one had some squashes growing on the roof. Next we visited the Nobleman's Mansion.